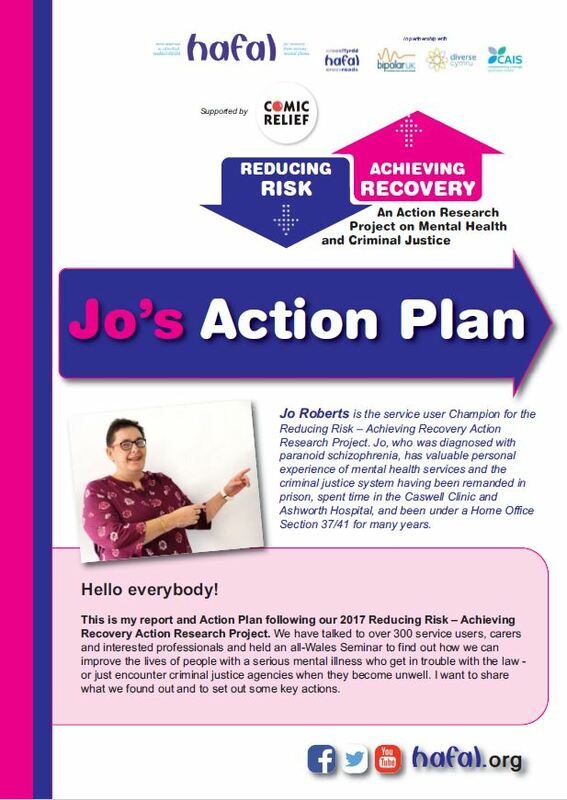 Mental health campaigner Jo Roberts has published an Action Plan which sets out how we can improve the lives of people with a serious mental illness who get in trouble with the law. It follows a summer-led campaign supported by charities Hafal, Bipolar UK, Diverse Cymru, CAIS and Hafal Crossroads which included a national survey and seminar. Little support provided during resettlement. JO’S BLOG: GIVE US THE RIGHT TO TIMELY TREATMENT! Check out the new Gellinudd Recovery Centre website!